Our pro shop is open weekdays from 9:30am-5:00pm, plus all weeknight and weekend public skating sessions. While maintaining over $25k worth of inventory, our pro shop has the reputation of being one of the largest skate dealers in the southeast US. 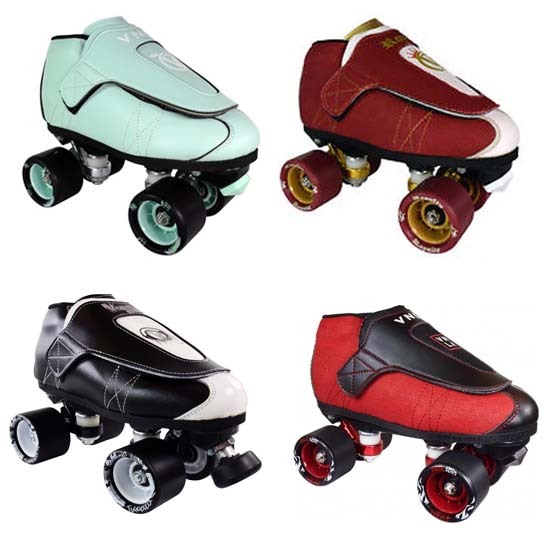 We carry the most popular lines of quad skates in the industry. From beginner to elite, we can fit you on sight and get you skating now. Frequently we build customized skates here just for you. Our mission is simply to get you rollin’. Need your skates repaired? 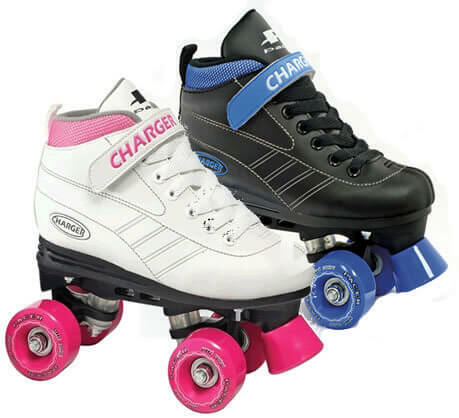 Our motto is “If it’s fixable, we can repair it.” We also carry a large variety of accessories that includes laces, bearings, wheels, plates, skate bags and more. We are your one stop skate shop! Purchase with confidence! Parents, we’ve done the legwork for you. Our pro shop expert has taken the time to investigate the manufacturers and carry the best products at each price point, and then keep them in stock. Every year we meet with the manufacturers to evaluate all new product lines. On the rare occasion you want something we don’t have in stock, we can get, period. Worried about your child out-growing their skates? Our job is to get you the most out of your purchase. We will size your child with room for growth. Most skates priced over $100 we can remove the shoe and replace with the same or similar skate shoe and utilize the remaining components. Better yet, we won’t charge you labor for that conversion when you buy from us. 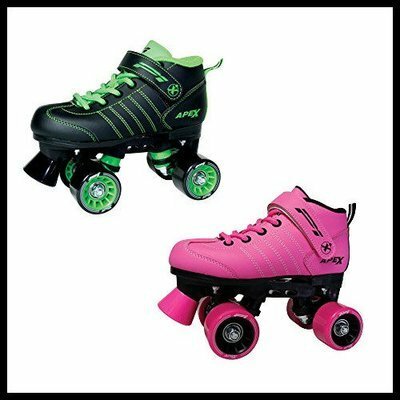 Speed, Derby and Jam skaters we’ve got what you need. We carry and service all major equipment brands, components and gear. Artistic Skaters, our pro shop expert is a former national champion skater, coach, and manufacturer’s rep. We’ve got you covered too. From mouth pieces to laces, you’ve found the right shop. Not only will we get you rolling, we’ll make sure you’re rolling just the way you like and coach you up a little to make the transition to your new ride. Need layaway? We do offer layaway for as little as $20 down will start any item for layaway and we’ll give you up to 90 days to pay it off. 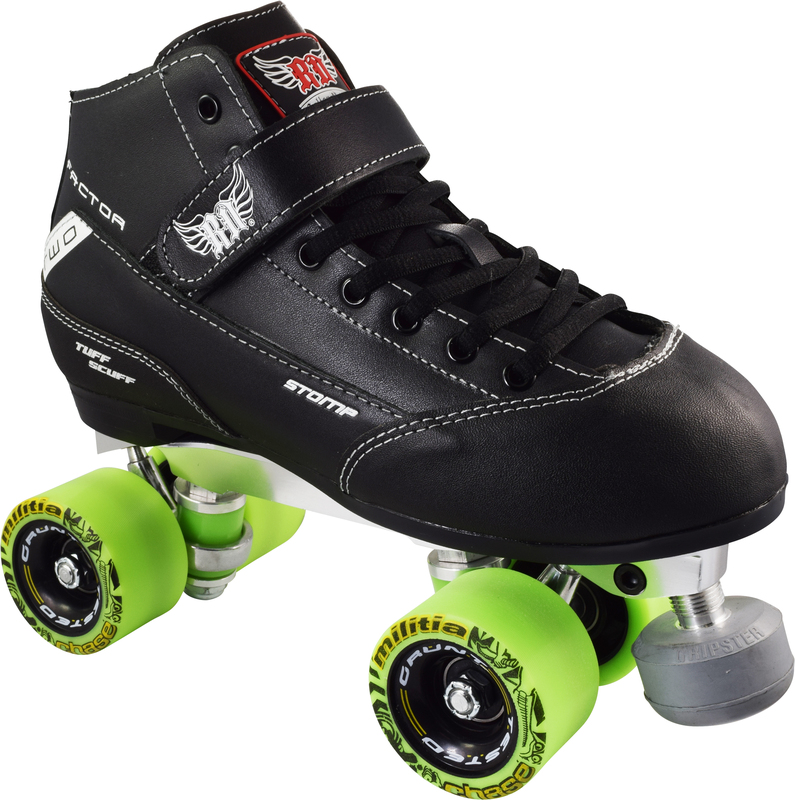 These are some of the skates we have in stock currently!